Welcome to the psychology quotes page, a new initiative here on the All About Psychology Website. 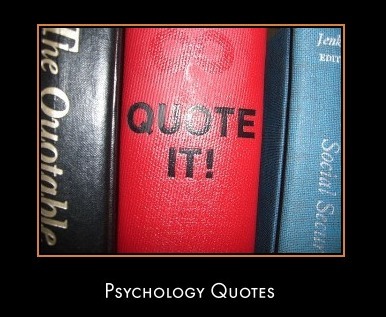 The aim of the psychology quotes page is to compile a categorised directory of quotes that visitors can draw upon either for academic purposes or simply enjoy reading for their own sake. The psychology quotes section of the website is very much work in progress but as the page grows you will be able to access quotes relating to human nature and behavior in its many forms, as well as quotes from famous figures within psychology e.g, Freud. To take a look at the quotes you are interested in simply click on the appropriate link below. 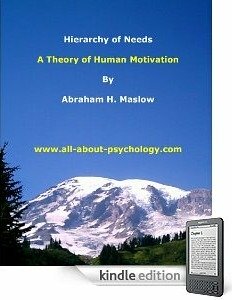 I've started using Pinterest to help me organize and share material featured on the All About Psychology website and I now have a psychology quotes pinboard up and running which you can explore via the following link. In addition to the psychology quotes collection, I have lots of other psychology related pinboards which I intend to add to on a regular basis. You can access all the boards via the following link. Or better still, please click on the button below to follow me on Pinterest.